Violent action! Unspeakable crime! Sudden death! An underworld power more murderous than the mafia and gorier than The Godfather in a grindhouse classic! 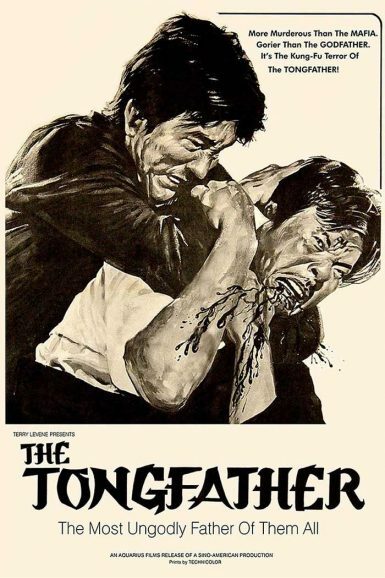 The combined forces of judo and kung fu karate explode across the screen in The Tongfather – the most ungodly father of them all! An undercover agent (writer/director/star Tien Peng) will have to put his hands of death to the test on a dangerous mission to topple an opium syndicate, staining the streets of China and Japan the blood red color of the poppy in a frenzy of the martial arts.